Rejuvenate burnt-out torches with our selection of tiki wicks. 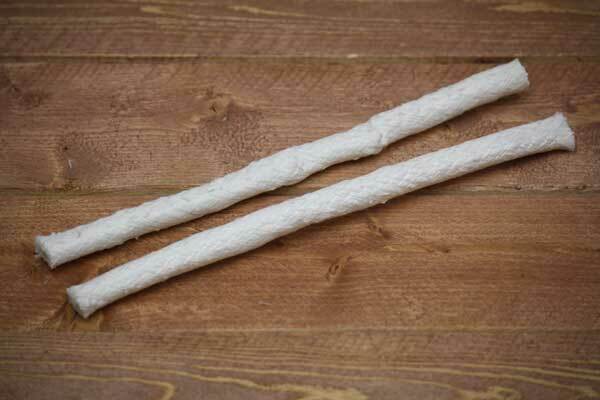 Tiki torch wicks are made of braided fiberglass that expertly draws up fuel and lasts longer than cotton. 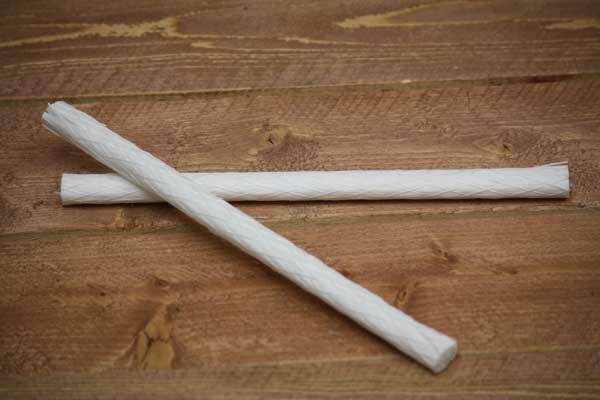 Unlike cotton, fiberglass tiki wicks are not consumed during use, but may need to be replaced if contaminated with water or poor-quality fuel. 1/2 inch diameter wicks universally fit most tiki torches. An inserted wick should be flush with canister bottom with no more than 3/4 inch above the flame guard. Many tiki torch lamps burn best with only 1/4 - 1/2 inch exposure of the wick. If you're exposing too much wick the flame will be turbulent and excessively smoky from fuel wasted during incomplete combustion. Like any wick, allow complete fuel oil saturation before lighting. Feeling crafty? In packs of two tiki wicks these are perfect for making DIY wine bottle tiki torches, mason jar tiki torches, and other beautiful torch decorations.